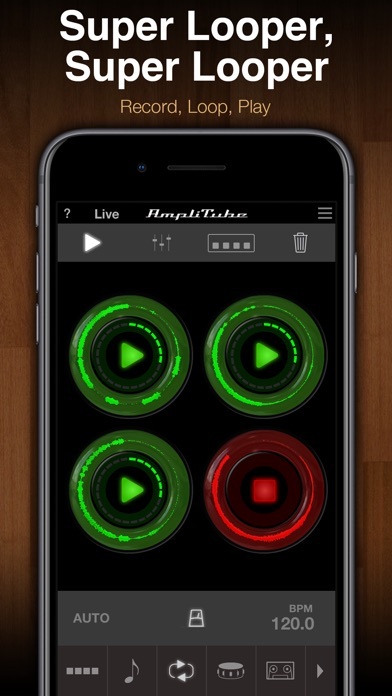 The presets on the app are terrible the pedals are ok at best and that is if the things want to work with you. In app purchases are for everything important the only thing that is great about it would be the delay. I love the guitar tones and upgraded to the 8-track bundle. It’s great for traveling and can import and export tracks for remixing in a DAW. Pan function doesnt work unless you disconnect and reconnect the iphone. Then the pan works but the input signal stops working. So you cant use pan while youre recording AND you have to shut the session down and re open to pan and mix the session after its recorded. Split track function doesnt work at all on iPhone. 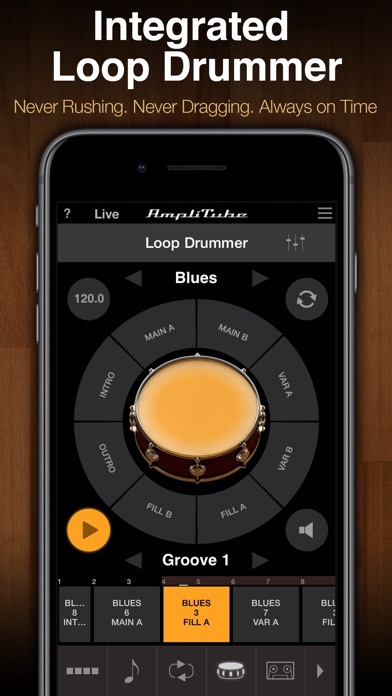 All pedals, amps and mics are NOT unlocked with the registration of the IRig stomp IO. 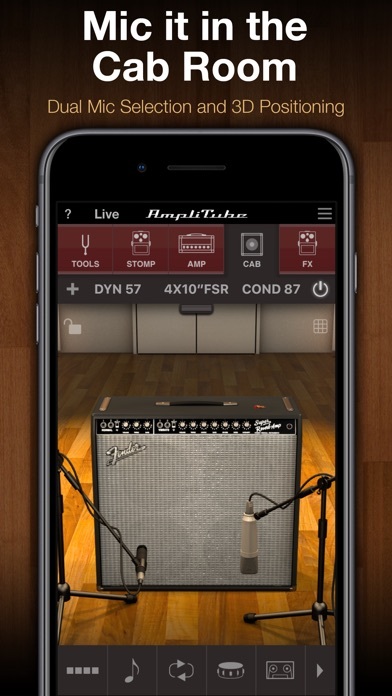 You are only able to access “AmpliTube” Amps, pedals and mics. So you STILL NEED TO DOWNLOAD AND BUY THE 2018 Suite. Which is a 379.00 investment. Not a lot to ask from 1 pedal. But this is a huge miscommunication. I’m glad I have a day before my performance to figure this all out. I use this app live. It’s never crashed, and the sounds are pretty good. But I will never give this more than 1 star until they make the BPM sync feature intuitive. At present, it does nothing, or perhaps it somehow works, but I can’t figure out how. Make that work, and this is a 5 star app. Great, not only for practice but also for recording and listen live. Is like having thousands of dollars of equipment at the palm of your hand. I used with an amp or a PA system and the sound is amazing. The amps sound great for quiet practicing. I’m on a tour of duty in Kuwait and need to be quiet with my playing. It really sounds incredible with a pair of powered, noise-cancelling headphones. With regular headphones though, it can get staticky and muted. I did plug it in my old Fender 110 amp at home before I left and it made that crappy little amp sound good. 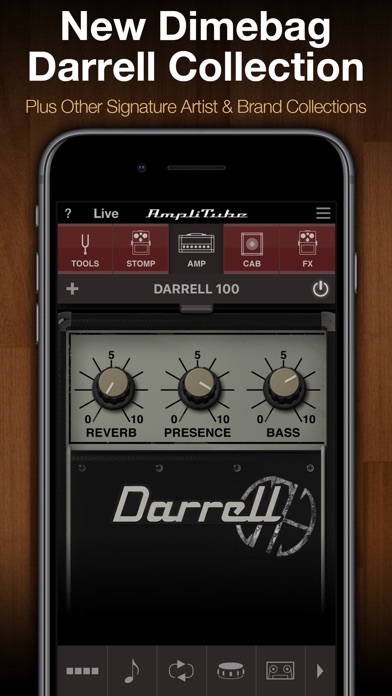 I currently use the iRig 2 interface with it, so an HD or HD2 would probably make it sound even better. The recording feature is great for saving ideas for recalling them in the future. Bump up to the 8 track recorder and drum machine, you could probably write an entire song on it. 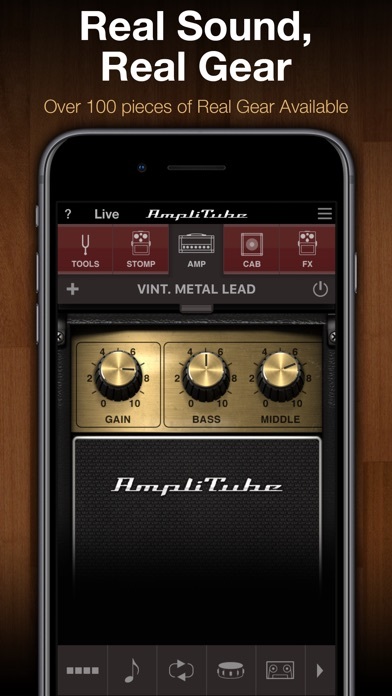 It can get pricy with the in app purchases of other amps and features. But if you buy the bundles you could save quite a bit of money. Overall, I’m happy with the app. 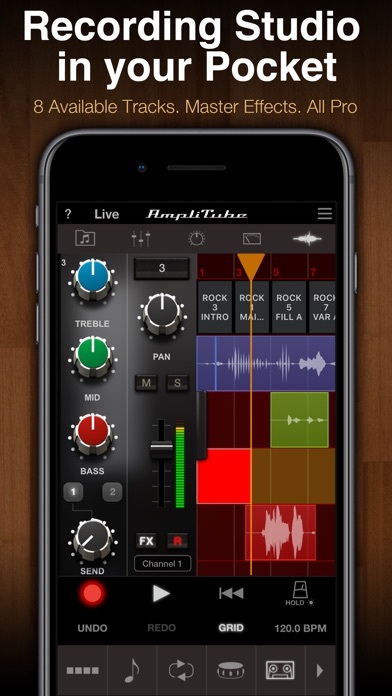 Just bought iRig-HD 2 and it won’t even light up when I connected my iPhone X with iOS 12. IK support page doesn’t have any information Please fix it.